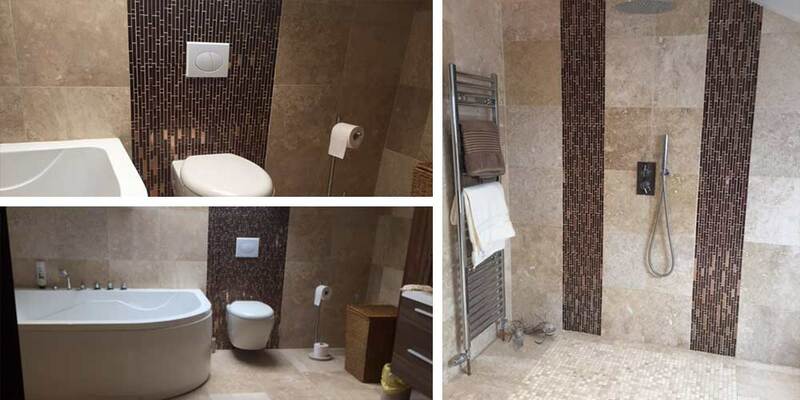 This customer has combined Fossil Travertine with Bronzed Jewelled Mosaic Tiles to create a stunning bathroom décor. 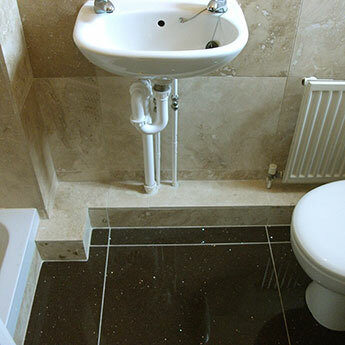 These tiles complement each other superbly within a modern bathroom interior. 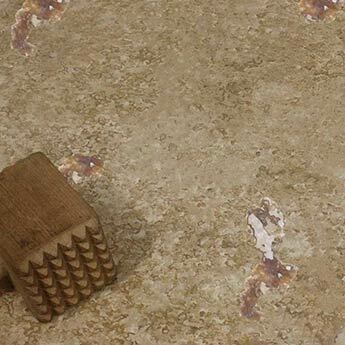 A fossil formation within this travertine stone adds a unique style to wall and floor designs. 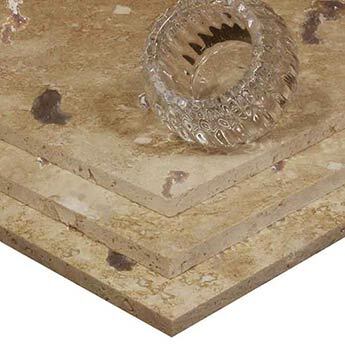 The natural fossils provide interiors with a distinctive character. 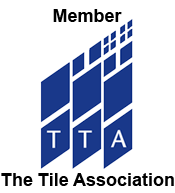 Not only is this a popular choice for bathrooms, kitchens and conservatories but they also provide a stunning backdrop as part of a feature wall or fireplace surround in living rooms. 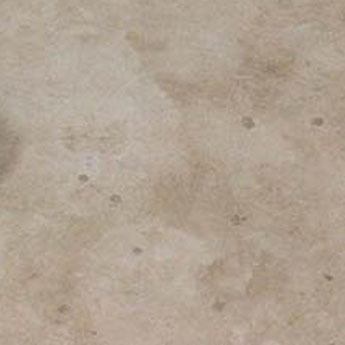 With its honed, matt finish, this fossil travertine produces a high level of slip resistance throughout areas of flooring. They comprise of varying shades ranging from cream to ivory. 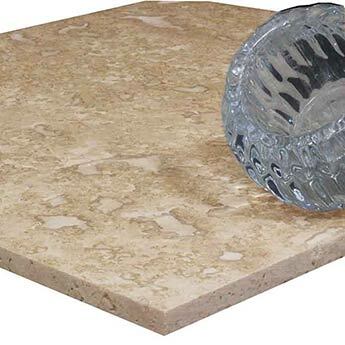 Travertine is much sought after for its natural shade variations and this option is certainly no exception. 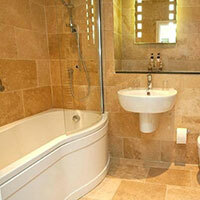 High quality natural stone travertine is acquired for both residential and commercial projects. 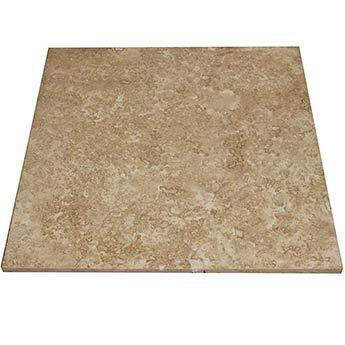 At Tilesporcelain we source fossil travertine direct from the quarry which ensures we can pass these massive savings on to you. 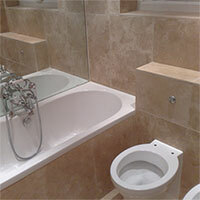 The neutrality of cream and beige travertine ensures these tiles can be incorporated within a wide variety of decors. These popular colours are ideal for a modern bathroom or kitchen layout and are perfect for complementing white and chrome features. 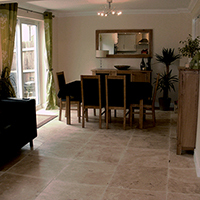 The understated appaearance of these tiles has been accentuated by a matt finish.